Michael always loved these and I wanted to make them for us Vegan style 🙂 Now that I have made these several times over the past couple of years, I have to admit, I adore them as well! This is not one of those super healthy recipes but it is a fun party food to have occasionally. Perfect for company, parties, especially a football loving crowd! I always make 2 batches as these go Fast!! Separate the dough into the pre-cut triangles. Roll each triangle around each vegan hot dog, making sure the dough is even till the ends. 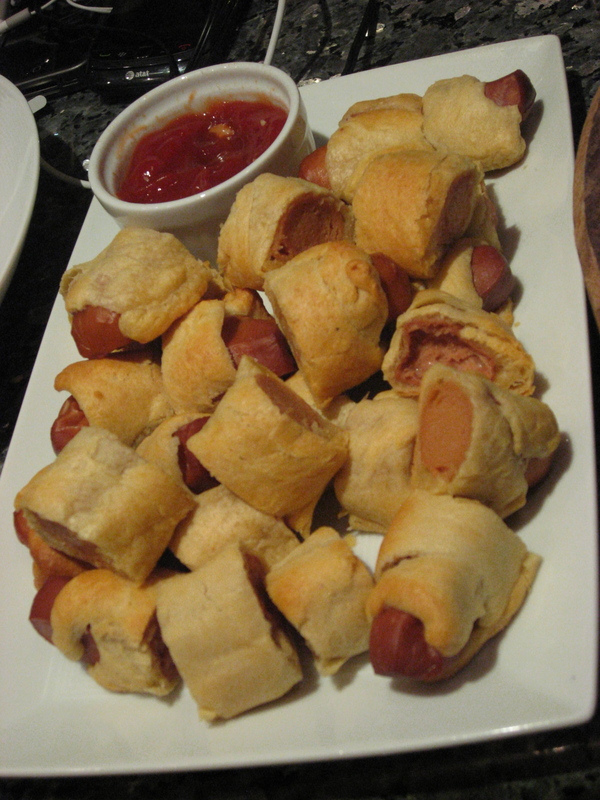 Slice each hot dog into 3 or 4 pieces. Place on a parchment paper lines baking sheet and bake for 15-20 minutes till the pastry is golden. Serve with mustard or ketchup and Enjoy! !